Under the city there are of course a variety of strange excavations. But few are stranger than the Machineries hidden under the old thieve’s guild. Once the tunnels used by the guild for whatever illegal purposes, they have since been repurposed by the mad archivist Ul-Vir. Now strange machineries and clockworks adorn the walls and even patrol the halls. But surely they guard more than themselves, and Ul-Vir would not have invested so much time and effort into these passages if he hadn’t hidden something of import beyond them. 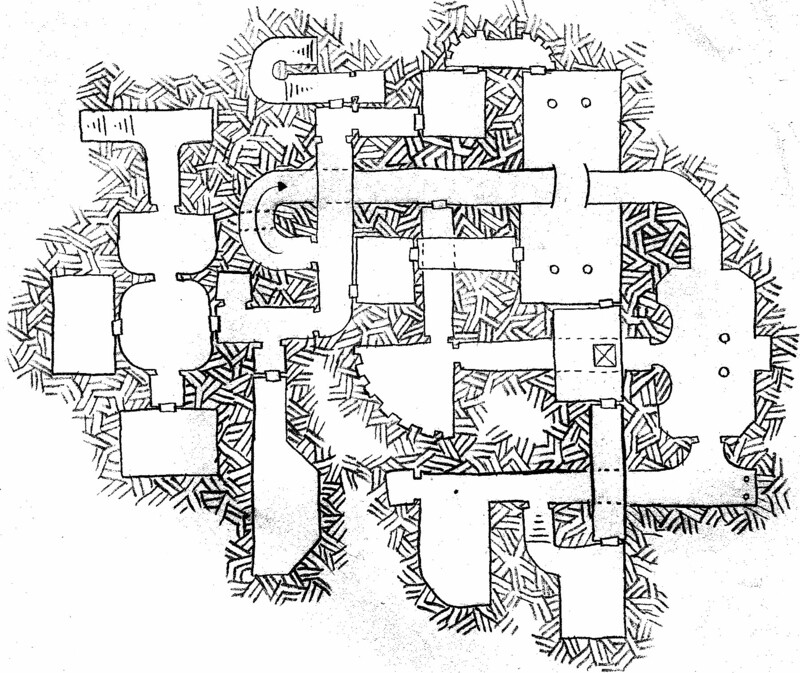 There are two stairs entering and leaving this map – the one at the top of the map leads to the surface, while those on the upper left hand corner lead down further into the tunnels beneath the city. The Machineries of Ul-Vir the Mad was drawn with funky little gear-like structures at many corners mostly as a visual cue to remind me to use it for something with a mechanical or steampunk theme. The map was drawn in pencil some four years ago, and was then lost until now, when it was scanned and mangled in contrast enhancement to make it visible (if not pretty). i like your clear style of this map. two ways out – or in, beautifull, so the old thiefs can use it – and now the machini of the mad man. the two rooms with “erkers” like the tooth of a machin, like a clockwork, very cool. enough rooms to store many items, and monsters inside. and the best, you take your levels with this nice bridgeway. as a good classik point. one Trap, perhaps hidden, beautiful. your clear drawing of this old smuggler- thief ways, perhaps with a hidden old thiefs guild treasure hoard (used by the mad man?) as a way-in to look down. some old thief sell this infomation for his live, perhaps. in steampunk i can me thinking about it, too. perhaps call of chuhul,too. London or Paris f.e. or Prag, with a waterway downside. 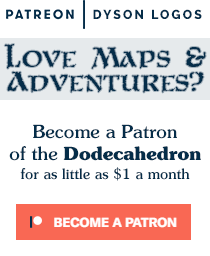 it’s a all-long-stand-alone-basement-map full of your best “featherdraw” ideas compact for challenging adventures.